Affordable Marble Restoration of Boca Raton offers a high end marble polishing service at an affordable rate. 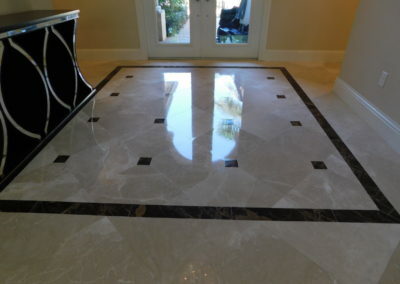 Marble can make a statement when someone walks into a home, its beauty conveys wealth and opulence. 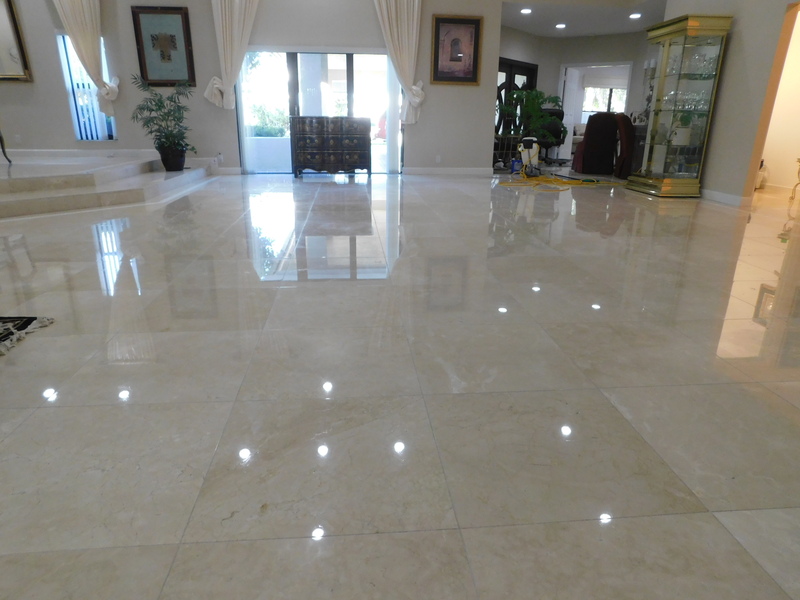 However, marble that is not maintained properly can have the opposite effect, the difference between clean, polished marble and dull faded marble is quite stark. Increased Density – The process of polishing marble increases it’s hardness and compression strength. Low Maintenance – Water, oil and other substances do not penetrate the stone as easily when it is polished, as a result little maintenance is required. 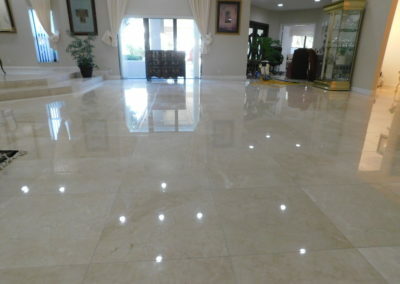 Easier Cleaning – After a marble floor or countertop is polished in order to maintain the shiny luster regular cleaning and mopping will be required. Polishing the floors makes it easier to maintain the shiny look. The Look – Bottom line is polished marble is beautiful, as mentioned the difference between marble that’s maintained and polished vs marble that is not, is very noticeable. So what will we do at Affordable Marble Restoration to bring your marble back to life? To start we do a pre-service inspection and walk through with you to help confirm expectations for the job and add any last minute requests. We then proceed by prepping the area, this includes putting in walk-off mats and corner guards to protect walls, corners and office furniture and all furniture from the marble or stone floor is removed. After we prep the area the next step is to thoroughly clean the marble and grout, if the grout doesn’t clean effectively we offer the ability to color seal the grout. 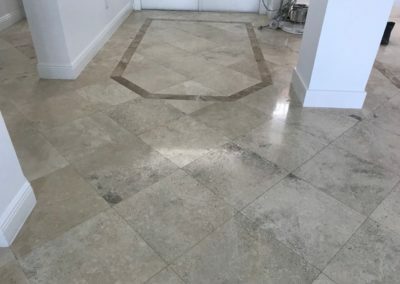 After the marble is clean the next step is to grind the floor down to remove all deep scratches and repair any chips or holes in the marble. Following the cleaning comes honing the marble to allow for the final polishing. After honing we vacuum the floor to remove any dust and then proceed with the final polishing. A final rinse and neutralization of the floor is done to ensure the floor is pH balanced. Then all of the furniture and rugs are replaced over the fresh new beautiful looking marble. 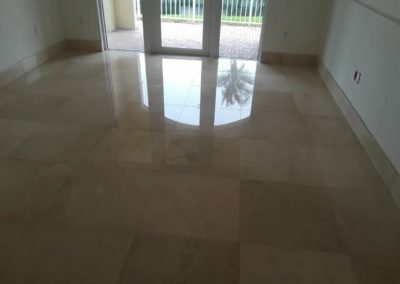 At Affordable Marble Restoration of Boca Raton we are proud to offer homeowners very high quality marble restorations services at an affordable rate. We have serviced hundreds of houses in the Palm Beach county area. 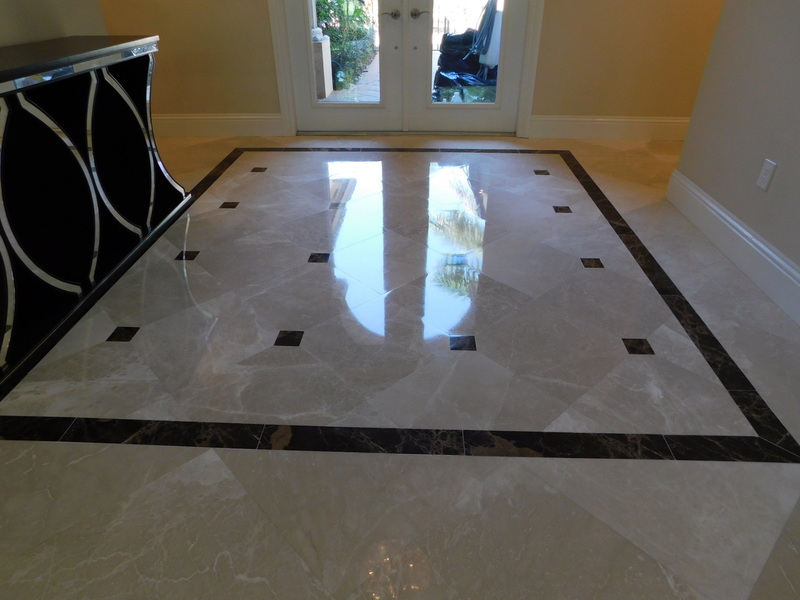 Call us today to get a free estimate on your marble restoration job.